Pony Mystery Theater: Exit Trixie, Stage Right. Private Pony Mystery Theater: Exit Trixie, Stage Right. She cuts into the conversation and began "You don't know Rainbow Dash? She's like the most awesome pony out there in Equestria, famed for her Sonic Rainboom! What makes her really famous is that she's the Element of Loyalty!" Alex listened to her as she spoke. When she was finished, he picked up on it. "Yeah, what she said. She's also a winner for the best Young Flyer when she saved a competitor from falling to her death using the same Sonic Rainboom. She also made it into the Wonderbolts Academy. I'm really jealous of her. I really want to be in the Academy myself one day." Alex said to Key Gear. Key blinked, and her smile faded a bit as she felt suddenly aware of her own ignorance. She had always known that she had missed out on quite a bit due to her lifestyle, and she had always suspected that it would eventually be a problem. She usually got around her lack of knowledge by simply nodding her head, but despite herself, Key was beginning to feel quite comfortable talking to the pegasus ponies. She wanted to keep the conversation going, and she was certain that looking vaguely uninterested would not be the proper way of doing this. Normally, she wouldn't have cared. In fact, she would've just walked away from the conversation well before it had reached its present point. But, here she was talking to two ponies that had no parents. To Key, that meant that it was not a normal conversation. Indeed, because she had lashed out at Flow earlier, Key felt doubly obligated to stay, listen, and attempt to talk. She realized that, earlier, she had terrorized a pony right in the middle of them recounting a horrific experience, and Key was now fully aware of the tremendous social faux pas. Unfortunately, now her mind began to wander terribly. Even while she had been speaking earlier, several thoughts had begun to develop. In the increasingly awkward silence, those thoughts morphed into a two-part realization. The first thing that she realized was that she was quite fortunate, in many ways. Flow had, basically, seen her parents perish. Key's mind shook at the thought of how that must have affected a young filly. Alex, on the other hoof, had never even seen his parents. Again, Key's mind was repulsed. It seemed remarkably harsh. In a stark contrast to both Flow and Alex, Key was sure that her parents lived and she had seen her parents. She could easily recall any number of the wonderful, mysterious stories that they had told her about their adventures. Her mother, especially, had been a masterful storyteller. She also had the hope, no, the certainty that her parents were still alive and that she could save them. She simply knew it was true. There was no logical reason for it, but Key felt certain and, like Alex, she had learned to trust her instincts on some things. But, her certainty that her own parents existed now became a source of guilt. Key had both her real parents and Bolt's adoptive parents. It seemed wrong to have so much while others had so little, and this was the second part of her two-part realization. Earlier, when she heard Flow's comment about how the pegasus could be Key's "older sister", a crazy thought had occurred to Key. She knew it was a crazy thought, and she was well aware that it would be perceived as such. She knew, but she really didn't care. Key had never been a pony to follow conventional ways of thinking, especially when there was a way to help somepony with a serious problem. Her thought wasn't that Flow should be her older sister. To Key, that idea was charming but not particularly workable. In just the few moments that they had been in conversation, Key had sized Flow up. The pegasus pony had a rather forward and athletic nature, but... Beneath her exterior, Flow had a certain innocence and heart that Key could only begin to understand. Key wordlessly admired Flow's traits, but she knew that she would struggle to consider Flow an older sister. Key had seen too much of the harsher side of the world, things that a pony like Flow should never be exposed to. "But what about Bolt?" Key questioned her own line of reasoning. If Flow wasn't a good pony to be an older sister to her, then why was Bolt any different? After all, both Flow and Bolt had lived lives that were relatively sheltered from the harsh atmosphere that Key, herself, had developed in. Key dismissed the questioning, though, because Bolt was different. He wasn't her older brother, they were fraternal twins. In fact, Key mused, she might've been born first by a few seconds, making her the elder. Bolt could be her little brother, in title if not in size. Key stifled a grin at the realization, and the action brought her rambling thoughts to a halt. She looked from Flow to Alex and then back again, clearing her throat as she considered whether or not to share her crazy idea, a way to possibly help them. She decided not to, not yet. Key figured, based on her other interactions aboard the train, that she would need to gain the trust of both ponies before she could share her idea and its reasoning, so after a deep breath, she spoke as though the awkward gap in conversation had never happened. "You know, this is going to sound pretty bad, but I hope the two of you will be patient with me… See, I never actually finished school and I kinda spent most of my time fixing things and doing... other stuff… I didn't really keep up with everything that was going on out there in the rest of Equestria. So, yeah... And, I do feel kinda bad about asking... Well, about asking dumb questions. Because the two of you talk about this stuff like everypony should know about it, but I don't even know anything about it… So..."
With an awkward grin, she launched into a polite but fairly awkward round of questions. "What in the world is a Sonic Rainboom? And... Errrr... Why would it make somepony famous? And... This 'Element of Loyalty'... What is that? Is it some type of title or something, or is it a type of political position? What's it mean? And... Uhhh..." Key suddenly realized that her apparent ignorance would probably make her idea for helping the two ponies seem even crazier. "Well... What is the Wonderbolts Academy? I... Errr... Well, I do kinda know what a Wonderbolt is, though." She added the last part hopefully, while just narrowly resisting the urge to facehoof. Springer shakily made his way through the parlor car. The combination of a good meal and the electrifying thought of his doppelgänger being in his room had worked magic on him. While his progress was still tedious, it was far quicker than his journey from the baggage car to the dining car had been. He was already nearing the door dividing the parlor car from the passenger car adjacent the caboose when he heard Bolt's voice. "Wait for me, Springer!" he spoke out before hurrying to Springer's side and offering himself to be used to stabilize the assistant conductor. With a quick shake of his head and a tired shout, Springer dismissed Bolt's request. "I can't! Electrobolt, that would be inefficient! You'll have to catch up." Almost as soon as he had finished speaking, Electrobolt was already there by his side. With the interim assistant conductor's help, Springer actually made much quicker progress towards reaching his room. In his mind, he chastised himself as he reached for the handle to room 17. He should have taken his own weakness into account when assessing the possible efficiency of Electrobolt's assistance. He tried the handle to see if it was locked. Much to his horror, it was not. Springer always locked his room when he left it... He realized that, of course, if his double was in his room, that could be one explanation for why it wouldn't be locked... Springer took his hoof off the handle. "I think that somepony is in here. I am completely positive that I locked this door after I left the room. In fact..." Springer paused to consider something before continuing. "That memory... Locking this door... Is one of my few clear memories... There is a definite probability that somepony is in here. I hope everypony is ready! There's no time to waste!" With that, he reached, suddenly, back to the handle and swiftly opened the door. As soon as the door was opened, Springer quickly stepped into the doorway with wings unfurled, blocking anypony behind him from entering. He scanned the room meticulously, looking for any signs that an intruder was or had been present. His eyes darted around the room frenetically. Inside, the room looked completely unlike all of the other rooms on the train. The bed was just about the only thing that this room had with any of the others. In every other way, it was as though the room was from a completely different world. Small bookshelves filled to capacity with neatly assembled model trains had taken the place of other furnishings. Above the bookshelves, just within the reach of a pony standing on a chair or the bed, a neatly connected sequence of model train tracks spanned the perimeter of the room. They were laid on a platform that was just wide enough for their width, and a small, mechanical model of an older style of train made its way silently around the train tracks, powered by magic as apparent from the dim glow around the train engine. Underneath the bed, a bin filled with neatly arranged uniforms and assistant conductor hats could be seen just barely visible behind the blankets on the neatly made up bed. Every shelf within the small bookshelves had a label neatly affixed below the items that rested on it. An uncompleted model train was neatly tucked into the corner of the room, every piece was labeled with a small, neatly cut, piece of paper. A large binder, filled with innumerable bookmarks rested on top of one of the small bookshelves, the bookmarks were similarly labeled. Every label in the room had been scribbled on with a style of hoofwriting that was nearly indistinguishable from the output of a precision printing press. Speaking to Electrobolt, but with a voice that sounded as though it was speaking to itself, Springer mused. "My memory of this room and its contents is... Completely undisturbed... There is nothing here that is unfamiliar to me... Everything... Every train, every label, my rulebook, my work area, my hats... My shelves... Hmmm... Everything is exactly as I left it. Well... Wait!" Springer tucked his wings in, darted into the room, and span around to face the area immediately to the left of the open doorway. There, on top of yet another bookshelf and positioned so as not to be seen by a pony glancing in from the hall, was a rather large picture of Ambrosia. In the portrait, the lemon colored mare had a brilliantly colored rose in her hair and was smiling coyly in the direction of whoever had taken the image. Nervously, Springer squinted at the portrait, visually checking to see if it had been moved or disturbed in any way. Content with his inspection, Springer breathed a sigh of relief and allowed himself a tired but relaxed smile. "Well, it looks my concerns were displaced. Nopony has been in here, despite the room being unlocked. Even if somepony had merely set a single hoof in here, I would've been able to know. This place is my kingdom. I know everything about it." Springer paused for a moment and regarded his room with a increasingly wide grin. "Isn't it fantastic? I love everything here... Especially my masterpiece." Springer gestured towards the portrait of the train's cook. "I had to apologize to Mr. Train when I received this, he was simply and totally displaced. One's heart can only have enough space for one masterpiece." Randomly, Springer wandered over to his bed and, with just a bit of effort, stood on it to watch his mechanical train at eye level. His eyes glowed like those of a small colt experiencing their first Hearth's Warming Eve. "How... Majestic it all is... I can't believe that I've been away for so long..." He watched the train make its way around the room several times before he realized that he was being highly inefficient. With a cough, Springer lowered himself onto his hooves and then off the bed. "Sorry about that... Ummm... I was just... Errr... Making a final inspection of... The inventory..."
Springer cleared his throat. "Well, it seems that we haven't made much progress here. Forgive me for this brief diversion. Are there any other recommend courses of ac..." He glanced distractedly at the portrait of Ambrosia. "I hate to do this, but... This portrait is rather a bit of a distraction. Just one moment." Springer made his way over and, carefully, reached a hoof to the portrait and started to carefully lower it so that it would lie face-flat. It was about halfway down when Springer's eyes turned into dinner plates and the pegasus let out a shrill whisper. "What in the name of..."
A venomous hiss split through the air like a knife and cut him off. A dark blue blur shot out from behind the portrait and onto Springer's face. "CELESTIA!" Springer exclaimed while gritting his teeth as a fairly disgruntled looking kitten dug its small claws into him and bit his nose ferociously. Despite the attack, Springer stubbornly resisted dropping the portrait, which meant that, given his shakiness, he didn't have much of a way to dislodge the angry creature. When Electrobolt had heard Springer say that waiting for him would be too inefficient, he sighed. Then once he caught up and supported the pegasus, he began to make better progress to his room. Then, once they got there, Springer began to investigate the door which wound up being unlocked. His face showed surprise as Springer told him he had left it locked when he last left the room, and that somepony was most likely inside the room. He even stated that the memory of him locking the room was clear in his head, before swinging it open and spreading his wings out, preventing anything from entering, or exiting his room. As Springer began to observe the room, Electrobolt just sat down on the floor as he could do nothing else right now. Because of Springer's wings, he couldn't enter the room to observe it and see what was going on, not to mention he did not wish to risk bumping into Springer and disturbing him. And because he was the only pony with Springer right now, he was not about to go back to the dining car alone. So he sat there, waiting for Springer to finish his scan of the room. A little more time passed as Springer spoke up again, saying that his room seemed to have been rather untouched before exclaiming something as his wings returned to his side. He then rushed inside to check on something quickly, while Electrobolt got back to his hooves. Once Electrobolt got to the doorway, he heard Springer say that nopony was in the room after all, even if the door had been unlocked. He then went on to say that the room was his kingdom, and he would know if somepony had entered his room. Then he went on, asking the young colt for his opinion on everything in the room. He then said he owned everything in there, especially his masterpiece, which he pointed a hoof to. Being that he wasn't in the room yet, he couldn't see what it was. As soon as Springer got to the bed, Electrobolt then entered the room as he looked at what Springer called his masterpiece. It was then that he was greeted by a portrait. But it wasn't just any portrait, it was a portrait of Ambrosia, the train's cook. A thought had entered his mind when he recalled that Springer called this portrait his masterpiece. *Does Springer have a crush on Ambrosia...? * he thought, grinning slightly at the thought. He then heard Springer speaking again, before looking over to the pegasus who was standing on his bed, watching a train set going around the room. Looking at his eyes, he could see some youth sparkling in them as he observed the train chugging along on the tracks. This caused him to chuckle a bit as he smiled warmly at the sight. Once Springer realized what he was doing, he then hurriedly got off the bed before trying to cover what he was really doing by saying he was just making a final inspection. Chuckling with a grin on his face, he said, "It's alright, Springer, no need to rush." Springer then cleared his throat before continuing to speak, before getting distracted by the picture of Ambrosia. As Springer stated that the portrait was a distraction, Electrobolt moved out of the way to allow Springer to get to the bookshelf. He then watched as Springer began to lower the portrait, before stopping halfway as he started to whisper something. What happened next, however, shocked him: a hissing noise could be heard before a dark-blue blur shot itself at Springer, latching onto his face. "What the???" he yelped in shock, backing up a bit. As he looked at Springer's face, he saw that it was a rather small kitten, and it's claws were in the pegasus' face. Worried for Springer, Electrobolt quickly got to the kitten and grabbed at it, trying to pull it off of his face. "Get off of Springer's face, kitty! That's not a scratching post!" he exclaimed. Magicon knew he was making a tough request on Springer and he saw it on the pegasus’s face as he closed his eyes and began exploring his memories. Magicon patiently waited while Springer searched his mind, ultimately coming up with nothing substantive. Instead, he asked if Magicon knew any memory spells and the unicorn certainly did and would’ve told Springer and helped him, if Lapis didn’t suddenly interject himself in the conversation. "Springer, are you sure you cannot remember more about the book? While your predicament is most unusual, there is not much I can do to get to the bottom of it. Unless of course your doppelgänger were to show up so that we may question them." Lapis said with even tones. But beneath it was a hint of humor. It was just unlikely things would fall into place like that. If the clone still existed, where were they now? In Springer's room? Getting breakfast in Ponyville? A thought struck him then. "Actually, I think we should try to find the fake Springer. Or whoever it is that is not the Springer before us. Maybe they are in his room?" Magicon facehoofed, whispering, “There’s no doppelganger; there’s only one Springer. He was just controlled by somepony.” Magicon felt that Lapis was not helping the situation and was being more of a distraction to Springer and this “investigation”. He just wished Lapis would sit there quietly and only help when needed. Right now Magicon was trying to help identify the pony that possessed Springer, not worry about the book. That could wait. Yet Springer seemed to fall for Lapis’s false theory rather than Magicon’s. "The fake me? In my room!? Unacceptable! The monster!"
. He asked Electrobolt a quick series of questions before dashing off to his room in the back of the train. Electrobolt, unable to answer them in time, dashed off calling after Springer. Magicon’s jaw dropped slightly at the sudden turn of events. Everything had just escalated and rather quickly at that. It was as if nothing of Magicon got through to Springer and he facehoofed and shook his head. His frustration and irritation were apparent on his face but Magicon knew that simply sitting at the table grumbling would do nopony any good. Maybe Springer’s room held something interesting that maybe helpful in jogging his memory. It was worth a shot and Magicon agreed to try it. He rose from the table, telekinetically grabbed his book, and hurried out of dining car though, the parlor, through the car with his room, and into the caboose. Once inside he saw Electrobolt standing just outside the door and Magicon assumed that Springer was inside. As he approached the doorway a venomous hiss sounded from the room that froze Magicon right in his place. The hairs on his back spiked and his ears opened to full capacity. The voice was clearly dangerous, but Magicon didn’t get much of a time to analyze it as he heard Springer scream and Electrobolt run into the room. Running into the doorway Magicon saw a chaotic scene with Springer desperately trying to pull a kitten that was attacking his face. Electrobolt was trying to help as well, to no real success. Magicon also noticed that Springer was holding some type of portrait in his hoof, refusing to let it go as the kitten assaulted him. Quickly taking control of the situation Magicon stated, “Everypony calm down,” somewhat breathlessly and closed his eyes, summoned his magic, and began casting a levitation spell. His horn glowed dark lavender and he concentrated his magic on Springer, the cat, and Electrobolt, hoping that they would respond to his spell, rise into the air, and separate from each other. Then again, magic was unpredictable, but Magicon knew that the situation needed a quick resolution before it became more dramatic and dangerous. He hoped his magic would work as he cast his spell. @, @@Key Gear, Fill free to react to the levitation spell or not, it’s completely up to you. After he had finished speaking, Arcanel felt relieved. His concern, worry and confusion had been growing too much to not go out and say something up until that point. *I'm just glad I didn't scream or something like that. Point for me I guess. * He thought, relieved that his mind hadn't got the best of him. That's when he heard the first response. "Um, I'm sorry but I don't think I caught your name. And as for your questions, I think I may easily explain. Actually, I may need to explain everything." While the sudden change of subject slightly caught him off guard, the mailpony reacted fast. "Oh um... my name is Arcanel. Nice to meet you! And as for the explaining everything... if you wouldn't mind, then yes, please do." He responded, glad that he was finally going to get some answers out of the whole situation. "Yesterday had started like a normal day I suppose. I had been reading in my room when a knock came at my door. I do believe it was Springer, or whoever had looked like him. He had knocked on everyone's doors, as some of you may recall." "I arrived at the dining car mildly hungry. As I typically choose to sit by myself, I picked an empty table. Before long though, I acquired two table mates. Ambrosia and Flow." As he named them, he casually pointed at them in the dining car. *Well, the calling was probably for dinner, so nothing wrong there, and it doesn't seem like the doppelganger had done something out of the ordinary. So far anyway... well, at least now I know the who of two more ponies in this train, so that's nice! * he thought in small joy, now knowing the names of the lemon colored mare that was lying on the floor, and the cream colored filly who had been standing on the right. *Ambrosia eh?... Just like the famous nectar of the gods... pretty name if I say so myself! She must probably be the cook too. And Flow... like flowing through the clouds I'd presume or something similar. Although her cutie mark suggests something a bit more... radical. Still a cool name anyway. * He pondered, as he thought of the names of the ponies he just learned about. After finishing doing so, he continued hearing Lapis' retelling. "Soon, Trixie arrived and insulted the food. Since Ambrosia is the cook, she became upset. I felt concerned, so I followed after her when she fled. And where I found her, she told me about how the day before strange light could be seen underneath the door to Trixie's room. Wait, didn't you say you were unaware of who Trixie was, yes? She is a stage pony, a performer of simple magic tricks." At the mention of Trixie's doings, the white pegasus recoiled in shock. *She did WHAT?! Okay... learned some things right now. One, this Trixie is an absolute jerk. Who in the world just outright insults the food they're being served? For Celestia's sake that's just... I don't think even rude fits it. Two, Lapis doesn't really show emotions, but he's a nice pony anyway. Glad to know he went to comfort Ambrosia. * He pondered, slightly interrupting himself and giving a small smile before continuing with his thoughts. *Three, Ambrosia IS the the cook of the train as I thought. Four, the reason Trixie was here was because she was a performer of some sorts it seems. And five, there was a strange light in Trixie's room... ooooooooookay, there are a LOT of things I missed before I came in here. This is going to be tough...* he lamented, almost regretting making Lapis go through a lot of things that happened in the train to satisfy his curiosity. But before his mind went elsewhere, Lapis continued. "I became interested. Ambrosia had also said Trixie had been acting differently the day before as well. You can see my concern. And together, Ambrosia and I, went to investigate the problem. We had chosen to seek out Dusky first. It was Ambrosia's decision actually. I was okay with anything that would shed more light on things. When we made it to the engine car, where Dusky was supposed to be, all we found was Vim. He informed us Dusky was most likely sleeping in the caboose. Not a very good idea on the part of Dusky if I may say so myself. *So... both Trixie AND Springer, or who was supposed to be Springer, were acting strangely in that day. Given what happened to Springer... and the light coming from Trixie's room... there must a connection somewhere... but how? Also, an engineer of the train who's sleeping when supposed to be working? Hoo boy... Vim must have a whole lot of trust in this Dusky, otherwise, that would be really bad. If Fast Post caught me doing that... no... I don't even want to think about it...* he flinched as he finished his thoughts, shuddering at the sole prospect of his boss catching him asleep when supposed to be working. However, he slightly shaked his head, and focused to keep on hearing Lapis. "On our way back to the dining car and then on to the caboose, we encountered a green pegasus. He was zipping around and knocking on doors. It was certainly most peculiar. It was Springer's doppelganger. Ambrosia noted how the pegasus was different from the Springer she knew. And then Ambrosia proceeded to go into Trixie's room. I wasn't wholly against it, but then light poured out from under the door. She promptly stopped at my behest and we continued to our destination." *Well... if there was a change before from the other Springer, this was definitely it. And there's also that light again. (Sigh)... what in the wide wide world of Equestria is going on? This looks like it's much deeper than it seems. Strange lights... doppelgangers... scrambled memories... mystery books... ponies trapped in boxes... Dear Luna this is like a mystery story. Only we're in it. * He compared, sighing a little at the amount of things that were happening that had not an apparent explanation. "When we arrived at the dining car, Springer's clone stopped us. He told us to come see the magic show. He was overjoyed with the idea of it. It made me ill to say the least. He also said he had been to the caboose and found no Dusky there. I reasoned it would be best to watch the show. And what a show it was." *The way Lapis mentioned the magic show, it doesn't seem like it was really exciting or fun, but I don't think it was because of that...* he wondered, unsure of what had prompted Lapis' particular way to mention the magic show. Then Lapis started making a small synthesis about what had happened in the show. And the more Arcanel heard about it, the more he started disliking Trixie. *Okay, I don't care how good she is or what, but that's just ridiculous. Shocking a pony to try and figure out the cutie mark? Throwing a pony into a portal to a TUNDRA?! What?! That's just... I don't even... why is she still here?(Sigh)... at least I'm glad Magicon was able to save Flow. Otherwise...* the pegasus trailed off, not wanting to think what could have happened to the poor filly had it not been for Magicon's heroic feat. While he wanted to try and figure out just why Trixie would do all of these things, Lapis moved on to explain what happened after the show. "And when the show was over, I spotted Dusky. He had seemed to appear out of nowhere. Not wanting to take my chances with the bubbly Springer, I went after the engineer. I took him back to my room and interviewed him. He told me a great deal, and I even took some notes. Somepony else must have them, so you'll have to read it later. He told me about a book, an old book. I do not think he was specific about it. After he concluded, I went to sleep. I woke up only after Ambrosia had found my assistant Asteria stowed away on the train. Otherwise, I may have slept a great deal longer. I arranged for a meeting with the other passengers, and here we are now I suppose." After Lapis had finished talking, Arcanel couldn't help but raise his eyebrows a bit. * "Otherwise, I may have slept a great deal longer"? Okay, note to self. Lapis is a facts pony. That's definitely for sure after those words. Regardless, let's recount. Strange light in Trixie's room, Trixie is a jerk, Magicon is a strong magician too but a nice pony, Lapis is a facts pony. Springer had or has a doppelganger, Dusky apparently had some information, and even Lapis' asistant got in without same pony's knowledge....... wow... I missed a lot. * He decided, still a bit shocked for all of what had transpired in the train, and that only being from Lapis' point of view. He felt a bit overwhelmed at all the bits of information he had just received and the worst part was, that while he gained some names of other ponies which was always nice, the fact he still didn't know what was happening made him slightly unnervous. *Well, good news, I learned some insight on what happened yesterday. Bad news, I don't know what in Tartarus is going on. (Sigh)... gotta be positive, right? * the white mailpony reminded himself, trying not to let being overwhelmed bring him down. Ah, here they are actually." he said passing them to the mail pony. "When you are finished, let Springer see them. What you are about to read was supposedly written in the margins of the book Dusky mentioned." As he kept on thinking, he almost failed to realize that Lapis was giving something to him, but was quick to react and took the notes, while also realizing that there was the filly from before that was next to Ambrosia, now waving at Lapis. *Hmmm... she waved at Lapis like he was her brother or something, or at least somepony she knew... she's probably Lapis' assistant then... although she looks too young... but I wouldn't really know. And if she is, then she's probably Asteria... again, nice name! But anyway... let's look at this notes. * He decided, starting to read the words written in the papers to see if something could help him over the whole situation. *Dragons... knights... a mystery monster maybe?... This... this all sounds too surreal... why would Dusky tell Lapis all of this? Does it even have to do with anything? I know it's a story but... it still looks like a random thing to say in an interview as Lapis put it...* Arcanel wondered, unable to make out the sense of notes. *Well... that wasn't much help... maybe Springer would like them? * he pondered, thinking if he couldn't think it out, maybe Springer could, and so went to give the notes to the green pegasus. "Actually, that's alright Arcanel, I would rather not read those notes. What's written in the margins of the book is not nearly as important as understanding where the book fits within all of these... Distractions..."
The response of Springer had taken Arcanel caught off guard. He hadn't expected Springer to dismiss them so quickly. Despite this, he quickly went to out the notes away and look at Springer, who looked like he was contemplating, with his eyes closed and hooves on his temples. *(Sigh)... the poor pony must be so overwhelmed... I can only hope Lapis' explanation gave him some answers... or at least something that makes his mind more at rest. * He thought, wanting nothing more than the green pegasus finally being able to catch a break. However, Springer opened his eyes, put down his hooves and started talking again. "Besides, we have a lot of things to review before the notes are of any importance to me. We have to go in order, the efficient order for solving the puzzle. Efficiency is important, without it... Well, without efficiency, I should have been left within the box." Once more, the mailpony was caught off guard. *Ooooookay... so Springer likes efficiency a lot. But... did he just... imply that if he wasn't efficient... he should have stayed in the box...? But... that would mean...* Arcanel, trailed off, unsure of what to think about Springer's devotion to efficiency. But before he could give it any other thought, Springer spoke again. "My apologies for not answering earlier, but I was deep in thought and I was also waiting until everything of importance had been said. But now, there are a few questions that I would like to address…" Springer turned to Lapis. "You asked me where I had found the book. The answer is that I didn't. I'm positive that my own hooves were never allowed to touch it." Arcanel quickly snapped from his reverie and went on to hear Springer talking about the book that was mentioned before. While the book felt like it was something important, he didn't really know what he could think of it. *I don't know much about it in the first place... and the book did come out of nowhere...* he pondered. "You also asked me about my relationship with Dusky. Well, to be frank, I tolerate his presence. That's the nature of our relations with one another." Springer stopped and looked around the room. After satisfying himself that Dusky was not there, he continued. "I only checked just now, because I think it is rude to talk about other ponies behind their backs. If Dusky was here, I would go up to him and tell him these things to his face." He shrugged, but stopped short of the full motion, his shoulder felt stiff. "I've done it before, and we have an understanding on the matter." While he was intrigued in Dusky's character, as so far it had been slightly strange, the way Springer was bringing it up felt rather weird to Arcanel. *It looks as if he was going to talk about a really bad pony... that's... odd... I think? * the white pony pondered, unsure of what to think at the moment, but still looking at Springer struggling to make most of motions and concern filling his mind once more. "Dusky is arrogant, rude, and judgmental. Worst of all, he's inefficient. It takes him too many words to say what he means. Even then, he'll often say things with more than one meaning. He'll even say things with hundreds of meanings, talking in riddles." Springer's rosy red eyes glowed with frustration, and strangely, they looked rather like Vim's. "Frankly, I also think that he is a liar, but before every lie, he convinces himself that it's the truth. From all that, you can surely determine the nature of our relationship. I can work with him and we can get stuff done, but we both know where the other stands." As Springer finished describing Dusky, the white pegasus felt his eyebrows rise quite high. *O...kay... I wasn't expecting all that... he really seems to dislike Dusky. But... could it really be that bad? I mean, I'd have to see for myself but still... that's... a bit too much. Although I don't want to discredit Springer. Yet...* Arcanel trailed off again, slightly surprised by the description that the older pegasus had done about his coworker. "Now, Magicon, earlier... Umm... Yeah... Earlier, you had asked me about about the unusual book that I saw. Well, I know that the memory is in my head, but I am unable to recall any additional details at this time, unfortuna..." Springer cut off for a moment as a thought struck him, he continued awkwardly. "ately... Right, I'll come back to that. Well, actually... Ummm..."
While the mailpony recovered quickly as he broke his thoughts about the engineer with the supposedly bad personality, his concentration went back again to Springer only to notice him acting like he was lost and confused. *Uh oh... Springer's looking confused again, like his mind is elsewhere... so either now he's really tired... or at the stop, just realized something. * He determined, unaware of what exactly could have caused the green pony's sudden interruption, but kept on hearing to see it through. "Electrobolt... You know, now that I was on the verge of answering your question, I actually somewhat recall a dragon being mentioned. The strange thing is that I didn't recall this same thing when you originally asked. But, now, I can remember it... But only vaguely. I know that it has something to do with a book, yes. However, I'm not certain that... Well, I'm not certain that these books are the same. In fact, I recalled a library... A place that was filled with books. In fact, I... Ummm. It's the Canterlot Library? Well... This is odd... I've only been there once... I doubt I was there today..."
As Springer finished speaking to, looking rather absentminded, start eating, Arcanel started worrying again about what had just happened to the older pony. *Wait... so he remembers a dragon... from something he hasn't even read? But... how... why is he having all of these thoughts right now? What triggered Springer's memories like this? * he asked to himself, feeling more confused the more Springer talked about what he could remember. Before, he could have thought it was once more due to the tiredness Springer was suffering. But now, he thought of something else. "Something is wrong with my memory. I don't think that its entirely mine. There was a calendar in the library that I just recalled. If it was to be believed, then that memory took place some time before this train was even actively commissioned into service. That, my friends, is the first piece of this puzzle, I'm certain, and I can tell you why I'm certain." "Earlier, you described my 'clone' as using the word buddy a lot. Well... That is something that I used to do, quite a while back when I was a young colt. I don't do it anymore. The behavior was obnoxious, so I unlearned it. Now... What if... What if my clone and I shared memories, but only partially? Then... Maybe the transfer worked both ways... Which would mean that I would have memories from them and they would have memories from me... They would have had to have enough memories to be able to 'act' like me..."
"When I was a young colt... I had actually liked magic quite a bit too. It was a silly thing, because pegasus ponies can't become magicians, but I was young. Maybe that explained the wild enthusiasm of the fake me. You know... I was also a good deal more 'bubbly' back in those days as well... But, being like that isn't very professional and certainly isn't efficient, so I unlearned that behavior as well. See... There is evidence to support my idea... This idea of shared memories... This evidence is, admittedly circumstantial... But... It is a beginning, isn't it?" When Springer finished talking about how he used to be, the grin he let out made Arcanel slightly smile too. However, he now felt even more concerned about Springer's wellbeing. *So... Someone... whoever is doing this whole thing... has taken memories from Springer that date back to even his colthood? But... how is that even... who could even DO something like this!? * he mentally screamed, starting to get desperate about the whole situation. Until the green pegasus recovered, being certain that he was well was Arcanel's main priority, but now, he couldn't even know who could even have done something like what Springer mentioned. And now that he thought about it, he didn't even know if it was possible to create a doppelganger. *Just... what is going on? I can't protect Springer if I don't even know what's affecting him... (Sigh)... I'll just... make sure he doesn't tire out again. That's the least I can do for now. * He decided, unwilling to let his lack of knowledge prevent him from fulfilling his "duties". "Ah, I'm sorry Magicon... You said something of importance earlier... Tremendous importance... Ummm... But, I didn't answer it at that time, I was gathering information. Answering you then would have derailed the flow of conversation for others, which would have been... Highly inefficient. Now, though... You recall that you mentioned that you were placing your trust in me that I am the real Springer? I believe that you mentioned that I would not want to break your trust. Well... No, I would not want to break your trust, but... Perhaps I already have? And... Perhaps in several ways?" "If my copy used my memories to act, then I think that I am at least partially responsible for their actions. That is one way. If this copy and I exchanged memories and those memories enabled them to be me, then perhaps I have some limited ability to be them? Perhaps, I really am not the real Springer? That is another way." "There is one, last, possible way that I could have already betrayed you. Perhaps, I'm not the Real Springer at all? Perhaps I'm actually the fake? After all, I assume that my duplicate and I were exactly similar in appearance. Given that this is true, there is the possibility that... I am the fake. There is the possibility that the spell somehow divided and recombined memories between the spellcaster and Springer." "After this, what would be the difference between the two of them? Nothing. Whichever was the more powerful would put the other in a box and then go on about their business. Because the memories of both were mixed, then perhaps... The motivations were as well?" "Who's to say that the real Springer didn't put on the magic show? He would have been powered by whatever thoughts and motivations that the spellcaster would have had. Perhaps the memories mixed in such a way that the real spellcaster became mixed in with Springer's better nature, while the real Springer was... Corrupted? Magicon... You see.. There's no real assurance that... I'm... Me... So, trusting that I am the real Springer may be premature at this point, I believe." As he concluded, Springer calmly reached up a hoof to wipe away a tear that had sneaked out of an eye. "Ah, sorry, I'm still tired... That's..." Springer cleared his throat, and he raised a neutral gaze to Magicon, and he calmly awaited a response. "That's all that I have at this point in time. I leave your actions from here up to your own discretion." *Springer...* Sorrow was all Arcanel could feel for the poor green pony at that moment. He couldn't even begin to describe how Springer must have probably felt. *I'm pretty sure Springer is not the type of ponies that let out tears easily but... this is just too much. One pony shouldn't even have to go through this. I don't know who is doing all this but... this is just too cruel. Trapped in a box? Not being able to remember what happened afterwards? Memories taken away to transfer to a doppelganger? And even making question one's own existance? That's... that's too much. * The mailpony concluded, feeling too overwrought with sadness about Springer to continue. He was almost starting to cry as well. If there was one thing that always was able to get tears from him, is seeing a pony like Springer having to struggle like he was doing right now. And this was more than a particularly horrible case. However, before he could even go to comfort the older pony, Magicon spoke first. “Springer…look, I guess…all I can really say is I’m sorry for you. You’ve been terribly victimized. My original hypothesis was incorrect but my new one is on the same lines and it’s far worse. You weren’t just knocked out and hidden and the imposter took your place, you were controlled, manipulated by somepony who knows you, at least from your colthood. They used a sort of memory manipulation to take control of you, bring out your past memories and habits, and use it to their advantage, all while your body was their puppet. Yet by doing such a move, they exposed themselves and their memories to manipulation. That’s how you have some memories that don’t quite make sense. They have retained some of your memories while you have retained some of theirs. You were a puppet to a very cruel puppet-master. “You state that you have already betrayed my trust and I honestly don’t know what to say. I don’t even know if you have. I mean…I feel like a fool for just making assumptions about you, yet at the same time I can’t help but feel incredibly sorry for you. Maybe you have betrayed me, maybe you haven’t. Maybe you’re being honest with me, maybe you’re not. But from what I observed just before and what I’ve seen on this journey is that this, you sitting here right now, this is the real you. Why do I assume this? I guess you can call it faith or trust. I have to trust something and somepony because if I don’t, I’ll be paranoid and go mad. I can’t have that, especially now, so I have to trust somepony and that’s you. As Magicon's mouth stopped moving to let all the words sink in Springer's mind, Arcanel felt rather happy that the crimson pony had comforted the older pegasus in that way, and let out a smile. Fact was, while he wouldn't have used the same words, Springer was similar to Lapis in some ways, and maybe somepony who was more fact speaking and to the point like Magicon would have made a better dent at Springer's sorrow. *It's not what I would have said... and I'd rather Springer have some rest now... but... if Magicon is right about somepony that controlled Springer's mind... then... maybe Springer might have the key to all this... and... I don't think he will rest or sleep without fear until he finds whoever did this to him. I don't think Springer feels himself with much of a choice, especially if he's considering the whole thing as a sort of puzzle. But we need to solve it, no matter the cost, for Springer's sake. Otherwise... something really bad will happen soon. Somepony in this train, or somewhere else, is really bad. And we need to find him, or her, fast. * The white pony decided, his face now of determination to help Springer find whoever had done this to him, now hoping that the green pony had any clue of what Magicon was talking about. "Well, unfortunately, as far as I can remember at this moment... Ummm... I didn't have many friends or enemies when I was a colt. I was... Well... I was rather boring. There was something that I remember though… But I think it's one of those memories that's locked off, somehow… You wouldn't happen to have any spells that you could use to help someone remember things, would you? Maybe it might counteract the fog that's in my mind right now. Ummm... It may not be safe though, maybe we should ask a medical pony first... Maybe the one that saved me? Hmmm..."
The mailpony watched Springer as he tried to concentrate all his power in looking at his memories only to come without an answer. *Well... it was still worth a shot... although I don't think a spell so soon is going to be a good idea with Springer's current condition. * He determined, thinking that any change at Springer's body might well make him collapse again. It was at that moment when Lapis' voice interrupted the silence. "Springer, are you sure you cannot remember more about the book? While your predicament is most unusual, there is not much I can do to get to the bottom of it. Unless of course your doppelgänger were to show up so that we may question them." The bluish-grey earth pony's words made Arcanel chuckle slightly. *Haha! Well, if there was something to break the mood, that was it. I kind of needed that after all this. Hope the same can be said about the rest. * He thought. *But now I wonder... Lapis thinks it's a doppelganger... Magicon thinks it's a puppetmaster... and both theories seem plausible enough so... which one is right? * he wondered, unsure of what could be the answer to Springer's situation. "Yes, that might be useful indeed. But, what questions would we ask?" Arcanel chuckled once more as Springer followed Lapis' train of thought. *I know he wants to know as soon as possible, but I don't think the doppelganger is just going to show out of nowhere Mr. Springer. * He thought in amusement. "Actually, I think we should try to find the fake Springer. Or whoever it is that is not the Springer before us. Maybe they are in his room?" As much as Arcanel felt like agreeing to Lapis' idea, he still didn't know which theory was right, which made him slightly reluctant to instantly agree and follow with the earth pony's plan. *I would have already gone to search Springer's room with his consent, but I'd rather know first which theory is the most plausible before doing something else. I just hope we can find it in time. * He pondered, wanting to find the answer to the theories as fast as possible. The moment Springer shouted, the white pegasus recoiled from the sudden burst from Springer, but inmediately reacted when the green pegasus fell, unable to being more stable. "Mr. Springer!" he shouted in worry, only to watch Springer quickly recover once more and start speaking again, but in a rather desperate manner this time. "Electrobolt. Do you know anything about the status of the train crew rooms? Has anyone gone into my room?" Behind the curtness, it was easily evident that Springer was shaken by the thought of anypony venturing into his room. As he continued talking, his agitation was plainly evident. "I... I think that we should check it at once! If there *is* another Springer there, they need to be removed! They should be handed over to the authorities in Ponyville immediately! Oh, blast it... Come on!" And as soon as the words left the green pony's mouth, Springer quickly left the table and onwards towards the other cars, quickly followed by Electrobolt who had reacted almost inmediately. "Wait for me to-WOAH!" Arcanel suddenly screamed as he fell to the floor. In his rush to catch up with the green ponies, he failed to see that his left hindleg hadn't quickly left its place beside the table legs, making him trip, and making a hard noise as he hit the floor. "Ow... that hurt a lot... that's what happens when I don't see where I'm going..." he said in a voice somewhat filled with hurt, the pain from the fall and his leg tripping still recent. As he saw Magicon start to leave to follow the absent ponies as well, Arcanel tried moving once more, only for his left hindleg to start hurting again. "Owowowow... oooookay, so it really hurts... great... maybe I should probably stay sitting in the floor for a small bit until they come back. I can trust Bolt and Magicon to look after Springer better than I would do anyway but... (Sigh)... why did I have to be so careless?" He said in a lower voice chastising himself, lamenting that his rush made him now stay in the floor right beside the table. *Springer is struggling with a lot of things and he's still going. I trip and I stay here. Sure, what a GREAT job I'm doing...* he thought with sarcasm, disappointed in himself. OOC: Okay guys, I'm really, really sorry for not posting in so long, and I'll be absent for another time as well. This Saturday I'm leaving for holidays and I'll come back, approximately, in a week and a half, so I don't think I'll be able to make a post until then, but I might try if I have the opportunity. I apologize for the trouble. Arcanel right now is feeling rather bothered by his hurt left hindleg, so he'll wait until he feels absolutely sure that his leg won't be a bother to him, aside from the fact he'd rather not use his wings as they are still slightly tired. So... I hope this doesn't cause too much complications. Lapis watched with interest as Springer reacted to his suggestion. He had not expected such an emotional response. Springer quickly leapt to his hooves, flailing for only a moment before he got his bearings. Truly a pony on a mission, he quickly addressed Electrobolt before the two of them stormed out. Lapis watched with curiosity. Springer truly believed his clone would be found in his room. Lapis wasn't as sure as he appeared. Magicon had presented the alternate theory, and it left room for doubt in Lapis's mind. What if there really was some 'puppet master'? Or maybe there was some third or fourth theory? Lapis knew to never think that anything that wasn't fully proven was even close to the truth. That was why one always moved with caution. Believing too strongly in any one thing was deadly. And Lapis had heard Magicon whispering, and had certainly seen the look of irritation and disapproval on his face. It was clear then that Magicon did not easily accept possibilities. One could say he only saw himself as right, but biased thoughts on Lapis's part only resigned him to have an underlying dislike towards the stallion, so he blocked off any further thoughts on the matter. He would need Magicon in the near future. It was what his gut told him. But he still felt a little annoyed. As the red unicorn made his way to Springer's room, Lapis sped up so that he walked along side him. They said nothing as the pace was quite quick. And upon reaching the train car holding their destination, they found themselves met with a scene of chaos. Some sort of small animal had affixed itself to Springer's face, and Electrobolt was doing his best to remove the small furry creäture. Though mildly humorous, it was very disconcerting. Luckily, Magicon immediately tackled the problem using his magic to try to pry the animal, which Lapis now saw was a cat, off the poor pegasus's face. Lapis could only watch in horror as the unicorn tried his best not to kill them both in the process. Magicon could easily end up crushing the cat or rip off Springer's face. But Lapis felt Magicon knew what he was doing. He radiated skill as his horn glowed. Alex looked towards Key Gear curiously. "Hmmm, she's never finished school, huh? Kind of a disadvantage, but she seems to be handling herself given how she keeps herself busy with fixing things for other ponies..." Alex thought to himself, watching Key Gear give her explanation. "Well, when I was in the orphanage, the caretaker had some teachers teach us most of the basic stuff like history, mathematics, and science. They were a little more strict with some of the later subjects like Hippology, Calculus, and Astronomy. I'll answer whatever questions you have, Key." Alex explained to Key Gear, awaiting the questions. Alex took her questions in. "Gee, she sure has a lot of questions..." Alex thought to himself, remembering about how inquisitive one of the foals he knew in the orphanage asked him things like why the sky was blue and sometimes orange during sunset. Alex decided to start with the question about the Sonic Rainboom. "Okay, before I go into detail about the Sonic Rainboom, I want to explain a bit how Rainbow Dash can do it. I wondered about it myself, so I asked Rainbow Dash if I could gauge her speed. Normally, she can reach up to Mach Five speed or five times the speed of sound which is 3,800 mph. This is apparent by the mach cone that forms around her, indicating that she has broken the sound barrier. Upon breaching Mach Five, she enters Hypersonic Speeds to create the Sonic Rainboom putting her instantaneously into Mach Ten, which is 7,600 mph. Somehow, the resulting boom completely shatters the visible light spectrum and not to mention it emits a massive shockwave that can split solid rock and shake entire mountains." Alex explained to her before pausing to give her a moment to sink it all in. "As for why it makes her famous is because she was said to be the only pony to have achieved something like that when she was just a filly. It was what made her the winner of the Best Young Flyers competition two years ago easily." Alex said to Flow and Key before continuing on. "The Wonderbolts Academy is an advanced flyers school for Pegasi that aspire to be given a chance to join the ranks of the legendary Wonderbolts themselves. To be given an acceptance letter is hard enough to get and passing the academy is even harder. Rainbow Dash was able to get in because of her outstanding performance at the Best Young Flyers competition." Alex said to Key before pausing a bit to figure out how to explain the Element of Loyalty. He wondered how Flow even knows about that since it really isn't common knowledge. "As for the Element of Loyalty, I had to learn this from Rainbow Dash herself along with Twilight Sparkle." Alex said to her, smiling just a little bit thinking about Twilight. "Anyways, the Element of Loyalty is one of the six relics that were created a long time ago by the Royal Sisters themselves that embody the Elements of Friendship. She is given this element because of how Rainbow Dash will always stand up for her friends no matter what as well as help anypony she can, even if she is a bit of a jerk sometimes..." Alex said to her, not wanting to explain more about the Elements since their powers are a secret to Twilight and her friends. Alex cleared his throat before looking into Key Gear's eyes. "Anything else you wish to know?" Alex asked her curiously, awaiting more questions that need answers. "You know, this is going to sound pretty bad, but I hope the two of you will be patient with me… See, I never actually finished school and I kinda spent most of my time fixing things and doing... other stuff… I didn't really keep up with everything that was going on out there in the rest of Equestria. So, yeah... And, I do feel kinda bad about asking... Well, about asking dumb questions. Because the two of you talk about this stuff like everypony should know about it, but I don't even know anything about it… So..." With an awkward grin, she launched into a polite but fairly awkward round of questions. "What in the world is a Sonic Rainboom? And... Errrr... Why would it make somepony famous? And... This 'Element of Loyalty'... What is that? Is it some type of title or something, or is it a type of political position? What's it mean? And... Uhhh..." Key suddenly realized that her apparent ignorance would probably make her idea for helping the two ponies seem even crazier. "Well... What is the Wonderbolts Academy? I... Errr... Well, I do kinda know what a Wonderbolt is, though." She added the last part hopefully, while just narrowly resisting the urge to facehoof. Upon hearing Key say that, Flow was surprised at her remark, but she gave it a second thought and understood why, "I thought so...it just makes sense because she lived life as a street pony, so yeah she wouldn't know these complicated stuff. It can't be helped, So I guess I'll have to explain these things," Then her expression changed "Oh no...the problem is.....that I don't even know how to describe the Element of Loyalty, more like the Elements of Harmony! I can describe the Sonic Rainboom though. Okay...I'll just explain about the Sonic Rainboom and the Wonderbolts academy only, then I'll ask Alex to explain what the Element of Loyalty is...All right then,"
"As for why it makes her famous is because she was said to be the only pony to have achieved something like that when she was just a filly. It was what made her the winner of the Best Young Flyers competition two years ago easily." Alex said to Flow and Key before continuing on. 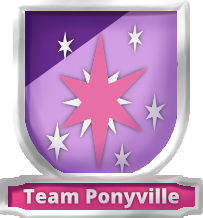 "The Wonderbolts Academy is an advanced flyers school for Pegasi that aspire to be given a chance to join the ranks of the legendary Wonderbolts themselves. To be given an acceptance letter is hard enough to get and passing the academy is even harder. Rainbow Dash was able to get in because of her outstanding performance at the Best Young Flyers competition." Alex said to Key before pausing a bit to figure out how to explain the Element of Loyalty. He wondered how Flow even knows about that since it really isn't common knowledge. "As for the Element of Loyalty, I had to learn this from Rainbow Dash herself along with Twilight Sparkle." Alex said to her, smiling just a little bit thinking about Twilight. "Anyways, the Element of Loyalty is one of the six relics that were created a long time ago by the Royal Sisters themselves that embody the Elements of Friendship. She is given this element because of how Rainbow Dash will always stand up for her friends no matter what as well as help anypony she can, even if she is a bit of a jerk sometimes..."
When she heard Alex say all that, Flow was amazed at his knowledge at such stuff "Amazing...He knows a lot about those things...not too many know know about them.neither do I...he must be really smart, and his quick timing saved me from embarrassing myself in front of Key through lack of knowledge," Afterwards she commented on his explanation "Wow...I don't know what to say...but that was really detailed..I don't even know how to explain the elements that easily...that's really smart of you, heh thanks for teaching us...Professor Night.." She giggled at the name she gave to Alex before commenting more "No really...that was great," She smiled as she looked at him. Berry looked at Redheart with a bored look. He calmly waited for her response to his question. Noting her confused expression he thought to himself. "What is wrong with this pony? And why couldn't Vim talk to her himself? She's not very imposing now is she. No, not like that dark pony from earlier. That is a pony I don't want to be in a room alone with. With logic like his, he could justify anything... much more dangerous a pony than Trixie could ever hope to be." Suddenly he heard an interruption. Dawn began speaking and, over the next few seconds as she spoke in loud voice tones, his eyes widened considerably. Berry began feeling very, very sorry that he had asked his question. He tried to think, but the only thought that came to his mind was to make the terrible noises stop. Her giddyness and oddity made him want to run as fast as he could towards the door. "This is horrifying, by the stars, whoever raised this pony has my eternal sympathy. Imagine listening to this... this non-sequitur yammering for years." THAT IS WHY SHE IS HERE! Do you like cats? Would you like to meet all of my cats!? I have a lot of them! Maybe you'd want to keep one? I bet you would! You look like a cat pony!!!" He flinched noticeably at the higher octave of her voice. His left eye twitched and he began feeling dizzy. He groaned very faintly, but audibly and looked to the floor. He felt much more tired after having to digest this pony's words. His left hoof raised up slightly as he almost began to stumble but caught himself. "I wonder if this is how people feel after listening to me." Suddenly he realized exactly what she had said. His mind had only pieced together bits and pieces, but then her voice played back loudly in his mind. "Would you like to meet all of my cats!?" "Please... no. I've not done that much wrong that I'd deserve, such a thing." He let out a quiet sigh. "Vim old friend, are there rooms on this train? I require naps. Lots, of naps. For rest you see." He said in a dazed manner, as if he had been spun in a circle for an hour and could barely comprehend what was going on. Berry's mind began feeling sluggish after he said this. It was as if his body pretended to be whole, and the second he spoke of weariness it broke the illusion. This sluggishness brought him to remember the fact that he hadn't slept in some time. This made him even more tired, but he forced himself by sheer force of will to not sit down. A yawn escaped his mouth. He was prepared to give in to unconsciousness. "As soon as I see a pillow... and perhaps even feel it, sleep is mine." "What the???" he yelped in shock, backing up a bit. As he looked at Springer's face, he saw that it was a rather small kitten, and it's claws were in the pegasus' face. Worried for Springer, Electrobolt quickly got to the kitten and grabbed at it, trying to pull it off of his face. "Get off of Springer's face, kitty! That's not a scratching post!" he exclaimed. Catching Electrobolt out of the corner of his eyes, Springer wanted to warn him off. He was quite certain that, given the kitten's claws and teeth, attempting to pull the cranky creature off would leave noticeable scrapes on his fur. While Springer wasn't overly concerned about his appearance, it was still something that he hoped to avoid. Unfortunately, his stinging nose interfered badly with his ability to say anything. His fur provided a serviceable a cushion against the kitten's tiny clows, but the teeth gnawing on his poor nose was a tremendous distraction. His eyes started to water, but he did manage to succeed in setting his prized portrait down without breaking it. Electrobolt grabbed the kitten. Confused, she looked up, only to see her field of vision flooded by the most intriguing shade of green. The kitten approved and, distracted by this strange green apparition that had suddenly appeared, she forgot to continue chewing on Springer's nose. However, her claws stayed securely fastened to Springer's face. Springer took advantage of the moment to voice his own thoughts. In a strained voice, he volunteered. "Electrobolt. This is an improvement, but you need to use less force please. I'd rather that my fur didn't get..."
Quickly taking control of the situation Magicon stated, “Everypony calm down,” somewhat breathlessly and closed his eyes, summoned his magic, and began casting a levitation spell. His horn glowed dark lavender and he concentrated his magic on Springer, the cat, and Electrobolt, hoping that they would respond to his spell, rise into the air, and separate from each other. Magicon's spell worked flawlessly, perhaps, a bit too flawlessly. Springer cringed as the kitten was pulled off of him without first retracting its claws, and the pegasus quickly reached up to check for scratches with his hooves. The kitten, on the other hoof, seemed tremendously bothered by being levitated. She yowled and thrashed her paws around frantically in the air, and the noise that the small creature made was horrible. Plainly, she did not like being levitated. With a sigh, Springer realized that he had at least one scratch that he could actually feel with his hooves. He ventured a glance down at the mirror on one of his bookshelves, but from the increasingly odd angle, he wasn't able to actually see anything useful in it. Springer crossed his hooves in front of him. He would much rather have not had to deal with being levitated. After all, he was perfectly capable of hovering, a fact that he attempted to share with Magicon, though it was, of course, rather missing the point of the spell. Speaking loudly so as to be heard over the noise of the cat, he ventured. "Magicon, I appreciate your assistance but... Wait, I just remembered something! Stop the spell!" Springer let out the final sentence with uncharacteristic energy, but it was too late. A strange field of light twinkled across the room and the levitation spell was forcibly canceled out. Springer and the cat fell to the floor. Springer landed in a heap with a thud, and he groaned miserably. The kitten landed gracefully on her paws. She immediately hissed at Magicon with the same curious intensity that she had directed at Springer earlier, and she then proceed to approach Electrobolt, silently observing the earth pony. After a moment spent in silence, Springer disentangled himself but remained on the floor. Gesturing towards the now motionless train set on the rails, Springer spoke in a muted monotone. "I was warned by the unicorn that helped me to make this train. Certain spells interfere with its ability to move. I think something broke, but... We do have other things to worry about now, so... I suppose it isn't worth worrying about this for now... That would be. Inefficient." While his voice carried neutrality, his eyes bespoke of his frustration and tiredness. Springer disliked it greatly when the order of things was disrupted, but he didn't voice his immediate thoughts to Magicon, out of respect for the unicorn. Springer cleared his throat, and, slowly, rose to his hooves. The immobility of his prized train was disturbing to him, but so was the thought of any more distractions. Indeed, it seemed as though the distraction of the small kitten had occurred exactly when he was finally beginning to recall more of his memories from the prior day. After all, he had just remembered his room. He had been able to remember the items within it, and he had been able to clearly remember locking it. To him, it seemed far too coincidental that something disorderly had occurred almost immediately after he had finally begin to impose some kind of order in his own thoughts. Far from distracting him, the attempted distraction focused his mind even more, anything else would have been inefficient. The pegasus pushed all distracting thoughts out of his mind and focused, narrowly, on the immediate problem. Speaking now, Springer returned to his earlier persona, and the sparkle of enthusiasm that had been glimpsed when he first entered "his kingdom" was gone entirely. While his tiredness remained, his desire to avoid further distractions overpowered it completely. He addressed the others, and as he did so, a certain clarity seemed to manifest itself in his gaze. "Despite this… Incident. I stick by my earlier assertion. I don't think that anypony has been in this room. However, we now know one thing for certain. Somepony did let this kitten into my room. I don't think that this kitten could've walked through a solid door and there is no other way for it to have entered. I think that there's more to this, as well." Springer paused for a moment, deep in thought, before continuing. During the brief pause, the small kitten had made itself comfortable crouched next to Electrobolt while eyeing Magicon with a distinctly feral gaze and small blue eyes that seemed to glow unnaturally. "I think that… Somepony purposefully planted this kitten to distract us. Somehow, they knew that we would be in here. I also think that..." Springer eyed the kitten curiously. "I don't think that this is a normal kitten. I actually have had, in the past, a few cats and kittens of my own, but... I haven't seen one like this. I checked this room thoroughly. While this may surprise you, I would have noticed a single cat hair if it had been in here. I saw nothing. Look around, other than the kitten herself, there is no other indication of its presence. I think this is a trained creature. Trained for stealth." Stopping for a moment, Springer shook his head, and then glanced between both Lapis and Magicon. "This brings me to both of your theories. We don't know which is correct at this point in time. And... Ummm... I, personally, don't know either way. However, I do know one thing… Regardless of the actual dynamics that brought me to my current situation... Umm... This is a more simple problem than it seems. We are looking for a unicorn. It stands to reason that we would be looking for a unicorn with something to gain from my current situation. Well... Ummm... It's simple, isn't it? I think that Trixie is the one." Springer smiled confidently as he continued. "Her show would not have happened had I not been... Temporarily indisposed, against my will. I had protested against her, several times. It's likely that she somehow saw me as a liability. Furthermore... The memories that I do have that seem strange... Libraries, spell books? Trixie. Those are the memories that a unicorn specializing in magic would certainly have. Are they not? Well... Dusky shares Vim's rather unfriendly view towards conventional magic, so that eliminates him, leaving only Magicon and Trixie as such specialists. Ummm..."
Springer looked apologetically at Magicon, but when he spoke, his voice carried a curious cadence. "I apologize for mentioning your name alongside Trixie's. By your own actions, you have demonstrated yourself as being beyond implication in the present scheme. I say this referring to all of your actions. In speaking to me earlier and reassuring me against my doubts, you showed kindness. In rescuing Flow during the show, you showed bravery and strength. In heeding my request to assist with the unlocking of your room, you showed a certain humility in accepting a simple task that was... Undoubtedly quite mundane to one of your abilities." With a smile, Springer continued. "It is for these reasons that I am certain that Trixie is the one that we seek, not Magicon. In fact, Magicon, I look forward to your assistance in this matter. If it is, indeed, Trixie that we must contend with, then we will need a unicorn to fight a unicorn, magic to deal with magic." The unusual cadence left Springer's voice. "So. This brings us full circle. Where is Trixie? If she is on this train, then we need to find her. If she is not, then we need to determine her movements regardless. Can anypony provide information of relevance?" Springer glanced at Electrobolt as he said this, certain that the interim assistant conductor would be certain to know something of the movements of another passenger on the train. I figured out a way to maximize the time in a day so that one could do the most and have the most fun. But after I finished, I had no idea what to do with myself. I played with my friends, and used my schedule and all, but still life felt lacking. My mother is a skilled unicorn, and she taught me all kinds of magic, and that didn't feel like my calling either. Then one day, I discovered my love of writing. I wrote beautiful stories and poems, and everyone loved them. That was when this quill appeared. Ambrosia smiled charmingly. While Asteria's story was simplistic, it was a simplicity that felt both familiar and reassuring to Ambrosia. That the filly was from an area not far from her own hometown explained why Ambrosia had felt protective towards her almost immediately. Asteria's way of talking and her mannerisms still carried a strong hint of her origins, more than enough for Ambrosia to instantly feel as protective towards Asteria as she would have felt towards any of the younger ponies from her own hometown. There was a second reason that Asteria seemed to be both familiar and reassuring. When the young filly had mentioned "maximizing the time in a day", Ambrosia had realized something. Asteria was, in many ways, somewhat similar to Springer. Both ponies were charmingly innocent, quite intelligent, honest, and polite. In fact, even the story of how the filly received her cutie mark seemed to be remarkably similar to the story of how Springer had received his. Both ponies had rather wandered into their talents seemingly naturally, without major incident. Still silently reflecting, Ambrosia realized that, as far as she could tell, other than the obvious differences there was really only one major difference between Springer and Asteria. Springer had a strange coldness about him that would appear, without warning, whenever he was facing a situation in which a normal pony would have an emotional response. Ambrosia liked to think of it as a wall of ice. Based on what she had learned from Springer about his colthood, she had gathered that his parents had been of the uncompromising sort. They wanted their colt to be nothing but the best, and as a result of this, they always sought to deter behaviors that would be detrimental to Springer's "seriousness". As a defense mechanism, she reasoned that he had adopted both his expressionless demeanor and his talk of efficiency. Doubtlessly, both had impressed his parents considerably, but, she noted, they hadn't impressed Vim. The older earth pony had found it frustrating that Springer could transition so quickly from being childlike to being, as Vim called it, "as dense as a tree stump". Springer was effective, but neither of his "sides" appealed to Vim. Vim didn't completely understand Springer, and neither did Ambrosia. However, she was happy to see that Asteria had been allowed to grow freely into the pony that she was meant to be. Undoubtedly, her journeys with Lapis and the influence of the wise earth pony had saved the young unicorn from sharing Springer's flaws. After Asteria had finished speaking, Ambrosia glanced over at Daylight expectantly. She was certain that the detective's story would be something exciting. As he started speaking, she was not disappointed. As Daylight spoke of pursuing the thief into the darkness, Ambrosia was riveted by the story. She listened, fascinated, until the portion of the story where Daylight explained how he had taken pity on the thief. Despite her best efforts, Ambrosia's smile faded slightly and she listened warily as she continued. As she heard Daylight explain how he had healed the thief, she nodded approvingly, it would have been wrong to do otherwise, and it was a noble thing for him to do. However, working out a deal with the thief was an unexpected ending to the story. She was disappointed because, in her own mind, she had already seen Daylight as a pony that was committed to doing the right thing. To hear that he had hidden the colt's wrongdoings from his parents went against what she thought he should have done. She, herself, would have told the colt's parents. It was then that Daylight conveyed how the young pony had enjoyed fixing the damage that he had done. Ambrosia stopped and considered. She wasn't a deeply intellectual pony, but innately, she could see that if a harsher line had been taken, then the experience would've undoubtedly been less pleasant for the young thief. Maybe bitterness would have interfered with the lesson that Daylight had intended to teach him? As Daylight continued to speak, she glanced away, distracted, as she remembered her earlier conflict with the young earth pony. Ambrosia reflected, and as she did so, she immediately realized that there had been a time when she was more like Daylight, quicker to forgive and nowhere near as harsh as she had been towards Key Gear. Yet, lately, at many times... She had been different. She'd changed... When had she changed? It had to have been recently... The mention of her name interrupted her thoughts. which is how it ended up on you Ambrosia. It was I who put it there while you were unconscious.” He said looking up at her apprehensively. While she hadn't heard the entirety of what he said, she knew immediately that Daylight was referring to the flower, and for a moment, her face mirrored that of a small rabbit suddenly faced with a manticore. Ambrosia was so surprised that she wasn't even sure how she could express her surprise. With her mouth slightly open and her eyes slightly wide, she listened as Daylight continued, and her eyes only widened further as Daylight continued talking. “That reminds me of you... and your mane more specifically. It’s the same colour but also, if I’m not mistaken this is a Ambrosia flower Ambrosia so, I’d like you to have it.” he said looking back up at her with a warm smile as he stretched out his hoof with the flower on it. Finally, as Daylight mentioned how the color of the flower resembled that of her mane, Ambrosia blinked before regarding Daylight curiously. It was true, and... Just as she came to the realization that the flower was her namesake, Daylight mentioned it himself and offered her the flower. There was a certain simplicity in the way that Daylight had spoke and in the way that he had offered the flower to her. As a gesture, it was seemingly completely nonchalant. Of course, it made sense to offer her the flower, it matched her mane. However, it was the simplicity of the gesture and the warm-hearted nature of the way that it was made that affected Ambrosia. As she reached out her own hoof to accept the gift, she blushed lightly in spite of herself. While she was normally an outgoing pony and she was no stranger to receiving gifts, even as she reached out to take the flower from Daylight's outstretched hoof, Ambrosia felt strangely shy. When she finally took the flower from Daylight, an awkward smile had found its way onto her face. She gently adjusted the flower's stem, carefully watching the flower so as not to damage it, changing the loop so that it would fit around one of her own ears, which were just a bit smaller than Daylight's. When she finished, she placed the flower around her left ear. Then, she smiled at the detective, beaming radiantly as she said simply and in a soft voice that she rarely used. "Thank you, Daylight." As she spoke, she looked directly at him, locking eyes magnetically, and in doing so, unconsciously allowing her own eyes to convey just a small amount of the inner strength that she normally masked, so carefully, through her own unassuming demeanor. After holding her glance with the detective for a few moments, she looked away, towards Asteria. She wasn't sure why she did so, but the action caused her to recall the notes from earlier. She still couldn't remember what they had said, but she felt strangely driven to understand them. When she looked back at Daylight, her smile remained, but it wasn't quite the same. When she spoke, she spoke in her normal voice, with just a slightly stronger hint of her hometown accent than she normally conveyed. "Well... Now would probably be a good time to take a look at the stuff that you tried to give me to read. I don't think it's around here anymore, though, but maybe you could just tell me what it said. After all, you did read it yourself? And, so did Asteria. Between the two of you, that should be good enough, I think." She thought about this for a second before continuing. "Actually, hearing it from y'all would probably be a safer thing than me reading it, myself. I'd hate to ruin another flower by needing another bucket of water." She laughed lightheartedly; it sounded almost musical, like the delicate notes of a flute. Vim grimaced. His friend wasn't taking to the excitable younger pony very well at all. Dawn, for her own part, ignored the feeble protests of the aging unicorn. In fact, her grin seemed to broaden strangely expectantly, and the blue mare would have blended in well with a group of cats herself. The expression was almost unnatural for a pony. Disturbed by this, Redheart decided that it was time to rein in her associate, and she coughed, hoping to attract Dawn's attention. It had no effect. "Please... no. I've not done that much wrong that I'd deserve, such a thing." He let out a quiet sigh. Dawn's grin melted into a pouting expression. "Well... Ok..." She spoke quietly before lowering her head and, subdued, returning to Redheart's side. Redheart took the opportunity to quietly lecture her while Vim spoke with his friend. Sternly but quietly, so as not to be overheard, she spoke. "Dawn, you need to learn how to control yourself. You aren't a filly, you're too old to do things like that. You terrified that poor pony... While he had been rather rude, that was no reason to..." Dawn cut in, quietly but firmly. "Redheart, I know, and I'm sorry... I just couldn't help myself... Ummm..." She hesitated and Redheart watched the younger pony curiously. "Vim old friend, are there rooms on this train? I require naps. Lots, of naps. For rest you see." He said in a dazed manner, as if he had been spun in a circle for an hour and could barely comprehend what was going on. Vim nodded. Berry had done a great job. If his old friend wanted to board the train, then Vim would welcome his assistance. Berry was both a smart pony and, despite his strange ways, a solid friend. He had proved this just now, without a doubt. Without hesitation, Vim immediately offered, "Berry, old friend, you're welcome to use my own cabin. It's room 18 in the caboose, so it's a bit of a trot, but... You know, you should make it just fine and it'll be a great place to rest undisturbed for a little bit. No one'll bother you. For me, I'm not getting a wink of sleep until this train gets to its destination. You'll probably see the assistant conductor on your way to your room, he's a spry, green fellow. Let 'em know if you need anything." After addressing his friend, Vim glanced over at the medical ponies. Dawn continued with more confidence. "I know that you still don't agree with what Vim is doing, but I would like to accompany this train. I won't if you tell me that I can't, but... I just have a feeling that this is what I'm supposed to do... There's something on this train that I think I'm supposed to do, watch Springer. And... I know I'm a little strange, but... There is one thing that nopony here has mentioned, but it is true... I was powerful enough to rescue Springer. I think that, if Trixie is behind this, then I would also be powerful enough to stop her, or... At least, to limit the damage that she can do until somepony else stops her. I'm good at healing... Well... I'm also good at shielding and other defensive spells. I'm not just a one-trick pony..."
Dawn smiled and raised her head again. For the moment, the blue unicorn powerfully conveyed the maturity that Redheart had been looking for earlier in askance. Nurse Redheart was, again, surprised by Dawn. Tilting her head slightly to the side as she regarded yet another side of the multi-faceted Dawn, Redheart spoke evenly, and she returned Darn's smile as she responded. "Dawn, if you feel that you have to be on this train, and... If you trust that you can handle things, then... I support you wholeheartedly... Just, be careful..."
Vim coughed and broke into the conversation, his earlier cheeriness was back in full force. "Sorry, miss Redheart, I just couldn't help but overhear you. It turns out that we actually have some other unicorns on this train that'd be helpful in dealing with Trixie should she act up. More important than being careful, just watch the whole cat thing." Vim addressed his last remark towards Dawn and then laughed heartily. Her eyes glazed over as Alex began to rattle through a rather complex explanation of the Sonic Rainboom. Key wasn't a dumb pony by any stretch of the imagination, but Key had always struggled with more abstract concepts. She just didn't think about them in the same way that other ponies did. Rather than being able to follow along, she always had to do her best to "feel out" a solution to some things that other ponies used math and numbers for. As Alex continued to talk numbers, Key started to feel just a bit like she was trapped in an enclosed space - a little breathless. She disguised her discomfort by coughing quietly. Alex explained to her before pausing to give her a moment to sink it all in. Key took a deep breath now that the landslide was over. She'd soaked in just enough information to know that a sonic rainboom was a feat of tremendous physical power. Key thought that anything that could shake mountains and shatter rock was not to be trifled with. However, she also thought that enough explosives could probably pull off the same effect or even something much more impressive. Key smirked almost imperceptibly. It was noteworthy that a pegasus could pull off such a feat, but it wasn't impossible for another pony to duplicate certain elements at least. She nodded her head as Alex continued speaking. "The Wonderbolts Academy is an advanced flyers school for Pegasi that aspire to be given a chance to join the ranks of the legendary Wonderbolts themselves. To be given an acceptance letter is hard enough to get and passing the academy is even harder. Rainbow Dash was able to get in because of her outstanding performance at the Best Young Flyers competition." "Anyways, the Element of Loyalty is one of the six relics that were created a long time ago by the Royal Sisters themselves that embody the Elements of Friendship. She is given this element because of how Rainbow Dash will always stand up for her friends no matter what as well as help anypony she can, even if she is a bit of a jerk sometimes..."
Plenty of ponies stood up for their friends, and Key reflected, plenty of ponies were jerks. Again, she was bothered, but she wasn't certain exactly why. It was just that something about what Alex had said rubbed her the wrong way. From within, she felt confident that something was wrong. However, she didn't think that Alex's explanation was wrong. Instead, it had to be something deeper. Taken offguard by his looking directly into her eyes, Key moved her head back a bit, hoping that she didn't offend him. She was relieved when Flow spoke, because Key was still far too lost in her own thoughts to have any more questions at that point in time. She did notice one thing though, and it was something that she hadn't noticed before. Alex's eyes... Key blinked, glanced over at Flow, and then, for a moment, looked as though she was deeply in thought. "Wow...I don't know what to say...but that was really detailed..I don't even know how to explain the elements that easily...that's really smart of you, heh thanks for teaching us...Professor Night.." She giggled at the pun she gave to Alex before commenting more "No really...that was great," She smiled as she looked at him. Key looked from Alex to Flow and, with a deep breath, she smiled. It was then that she heard a musical laughter nearby. She glanced over her shoulder just in time to see Ambrosia, with a fresh flower in her hair, speaking with Daylight and Asteria. Key grinned. She could immediately see the friendly atmosphere at the table, and she was more than willing to bet that Daylight had completely won over the fiery lemon colored mare. Under her breath, she complemented the detective. "Nicely done, Daylight..." Key hadn't been looking forward to resuming any form of confrontation with Ambrosia. The thought of a potentially guaranteed free pass from the cook was a relief. Turning back to Alex and Flow, Key felt more at ease than she had in a long time. "Yeah, Alex, actually... There is something that I want to know... It's not a big thing, but I think it's important. Here's my thing, don't you think that it's kinda funny how everyone thinks that Rainbow Dash is amazing but... She's only special because she's fast and... Probably because the princesses think that she's special. Look, don't take it the wrong way, but as far as I can see, standing up for your friends... That's something that a lot of ponies do. So is being a jerk..." Key stopped for a moment, again feeling rather self-aware. She continued with an awkward smile. "See... I'm a bit of a jerk, I think... At least, going by how I treated Flow... But... I would stand up for my friends too..." Key paused and reflected, distracted from her line of reasoning by a realization. "Actually, I didn't even have any friends until this whole train thing... Now... Hmmm... I've got a brother, a best buddy, and... Hey, Flow... It's like you said, we're friends, right? Maybe, Alex, too? That's kinda cool too, because you're both pegasus ponies, and you kinda have the same color of eyes too... I thought that was interesting, but... Errr... Well... Oh, yeah... Actually... See, I had this idea... Well..."
Key stopped, took a deep breath and then continued, earnestly and seriously. "Well, since we're talking about friends. Look, I know that you both lost your parents. For me, my parents were my best friends when they were around. It's been a while since I've seen them, so I kinda know how you both feel, honestly. Here's the thing though, I... I don't think that anypony should have to be without their parents... It does hurt. I know something about that, too, honestly. In fact... I guess you could say that I know how that feels twice over, because... It happened twice, really. You feel like you've been abandoned... You question yourself, wondering if you did anything wrong, anything to deserve... Well, that's not really what I want to talk about. Sorry." She suddenly smiled slightly, and her eyes twinkled with strange enthusiasm. As she spoke, her voice trembled with fiery intensity. "See, there's an idea that I had. Maybe... Well, it's kinda strange, but maybe I could adopt you both! See, then I could be your parent! I'd read you stories about adventures in faraway places, tuck you in at night, remind you to eat all your food, keep you safe when there was danger, and you'd always know that I was there... Even if I wasn't there right by you, you'd know that I'd never really be gone, never... I'd always be there when you needed me... Always. I'd promise you that." Finished with her proposition, Key looked, almost pleadingly, at the two pegasus ponies. "Well that would be a long story... but since you've been so friendly I don't see why I shouldn't oblige!" He said with a nod. Dusky smiled at Marcato. The musician spoke guilelessly, without any hesitation at all. That, alone, was more than enough to convince him that this musician was not connected with the memory that had surfaced just a few moments ago. In fact, Dusky thought, "guileless" was the perfect word to describe Marcato, the musician was completely without a cloak of any kind. In addition to this, the musician had seemingly no reaction to Dusky's unusual presence, treating him as though he was just a sleepy pony. It was an intriguing mark of inner strength that Dusky appreciated, regardless of whether it originated from naiveté or some type of purposeful thinking process. "I was born in Vanhoover, out towards the west. That was where almost my entire family lived, and naturally I stuck around until I grew older." Dusky raised an eyebrow. He himself was originally from an area near to Vanhoover, it was an astonishing coincidence indeed. As the musician continued, Dusky listened carefully, absorbing every last detail. On the outside though, his sleepy expression only deepened somewhat while his smile remained in place. Marcato truly was guileless, the musician proceeded to convey to Dusky more than enough information for the shadowy pony to feel as though he truly had heard Marcato's life story. Marcato suddenly realized how he had practically told his life story to the pony in front of him and cleared his throat. "Ah... sorry. I, sometimes get a little carried away when I'm telling people things. I do hope I haven't bored you too much!" A soft laugh escaped from Dusky as Marcato had given voice to his own thoughts, but there was one thing that he felt the need to clarify. "No, Marcato... I am, in fact, rather immune to boredom in the conventional meaning of the term." Marcato decided to cut ahead to more details about himself personally. "As you know I love music, and always have really. However, I heavily dislike the modern music and all that... noise... it involves. I also tend to make friends out of others who agree with my thoughts on things. (Don't we all?)" He commented. In fact, Dusky was not particularly fond of modern music either. It was another thing that the two had in common. In response to Marcato mentioning that he made friends with those that agreed with him, Dusky sighed. To him, friends were not nearly as important as allies, and it was allies, not friends, that were formed through the process of agreement. From Dusky's own observances, friends were formed through a different process, one that he was uninterested in exploring due to the limited value of friendship. "I now make music and play violin for people who pay me to do so, often involving symphonies and live instruments. I love doing it and love advancing in my skill level. It doesn't pay much but, it keeps me going. I'm hoping if I can keep some publicity going I can eventually become more successful." Marcato finished. Dusky said simply and silently, "Well... Bits aren't everything..."
"No, not at all, actually. I would have to say that... You've told me much more than I actually expected to hear, and... In fact, you've told me more than I believed that I needed to know. Hmmmm... You have revealed your life story to me in full along with a fair dose of your hopes, dreams, and aspirations. It is a... Rather unusual thing to do, but... I appreciate your openness. It shows that you have nothing to hide, which is a mark of strength... Indeed... Hmm.... I believe that I owe it to you to share some information of myself." "I, myself, was was born in the area around Vanhoover... As a youth, I had... A rather fortunate existence. I was consistently the largest and most physically capable pony in each phase of schooling, so... I did not have experience enduring the valuable conflicts with others that shape and strengthen one's own being. I... Was satisfied with this until approximately halfway through my own schooling. It was then that I discovered a way in which I might be able to challenge myself." "You see, there were others, besides myself, that had more in common with your own experiences. For whatever reason, they were challenged repeatedly and quite fiercely by their peers. Ah... The place I lived was a tad more... Hmmm... Primitive than many other places that you have perhaps encountered... Many parents responded to these conflicts in a similar way to how your own parents did. They withdrew their young from the hostile environment and sought to teach them on their own. At a certain point... I began to feel something about all of this... I was there, Marcato, reveling in my own privileged existence... At the same time... These others were being driven from their rightful environment. It was wrong..."
Dusky licked his lips before continuing. "I can tell you why it was wrong... You see, Marcato... Every pony has, within them, some measure of strength... I knew this then even as I know it now. This strength, it can take many forms, and... Not all forms of strength develop at the same rate. Furthermore, not all environments encourage the development of all forms of strength. There is endurance, physical power, mental acuity, speed, agility, cleverness, which is a different thing from mental acuity. All of these forms of strength are necessary in order for a balanced world to exist." "At that time, in that environment, what I saw was that it was only the physically strong that were allowed to rise to ascension. The system that was in place tilted the field towards them and, naturally, they made use of every advantage to benefit themselves and strike out against those that would dare to challenge their dominance. Well... When I realized this... I knew what needed to be done. They were strong, Marcato, but... I was stronger. I could win a confrontation with the strongest of them with ease." Dusky grinned, slightly. "I beat them, Marcato. Ah, it was glorious to see them flounder when I went from a mere neutral observer to the one that challenged their challenges, all of them. I never lost, never. Eventually, even the strongest of them were far too afraid to mount a challenge against me." Dusky's grin faded into a frown. "My physical strength... It spoke for those that had strength in other areas. I was able to shield them, to allow them to ascend to prominence in their own ways... That is... All that I have ever sought to do since then... To open the door to those that are strong to overcome the constraints of ineffective order and to build an empire that allows for ascension without limitations..."
"Aside from this... I have always been vaguely mechanically inclined.  Do not consider my cutie mark too literally... You see, I can do much more than shovel coal... Marcato, much like you can craft music of beauty and perfection, I can craft complex machines of beauty and perfection... Beauty, perfection, and complexity. If you'll forgive my channeling the conversation back to yourself, I could not help but observe that you seemed to savor the more complex and rapidly paced song much more than you did the simpler piece from earlier? You find that you enjoy the thrill of the challenge, yes? Tell me, Marcato... What would you think of a world in which you were free to pursue these challenges with the finest instrument and without concern for financial limitations?" As Electrobolt was trying to get the cat off of Springer's face, he saw the kitten look up at him and stop gnawing on the pegasus' nose. Confused, he just observed the cat until hearing Springer speaking up, saying to try using less force. "Oh, um... Sorry Springer, heheh..." he responded with a sheepish chuckle. Realizing that pulling the cat off with force would potentially mess up Springer's face, he started to try a different approach until he heard a familiar voice speaking up behind him, telling them to calm down. As he looked behind him, still holding the cat, he saw Magicon charging up a spell. Before he could say anything, however, everyone in the room started to get lifted up by his spell: Springer, Electrobolt, and the cat. However, even though Springer and the stealthy feline were right-side-up, Electrobolt found himself getting spun around a bit before eventually floating upside down. "Ugh... I feel like I'm getting dizzy..." he whispered as his vision of the room started to get all wobbly. He could hear the cat hissing clearly, and after that, Springer speaking before urgently asking Magicon to stop the spell. Just after Springer spoke up, however, a light began to twinkle in the room. After it went out, though, the spell surrounding the three had dissipated as they fell to the ground. However, being upside-down, Electrobolt landed straight on his head with a thud. "Ow...!" he muttered before gravity pulled the rest of his body down to the floor, his back now rested on the ground. "Oh, my head..." he groaned silently as he rubbed it with his hooves. He didn't really pay too much attention to the cat approaching him as he kept rubbing his aching head. As he was still lying on the floor, he then heard Springer speaking up, saying that the unicorn that helped him in making the train warned him that certain spells would cause it to stop moving. As he continued to rub his head, he thought to himself. *Was that the reason Magicon's levitation spell got cancelled...? The magic put on the train having negated his own...? Ow...* Sighing and realizing that lying on the ground would do no good for the colt, he slowly rolled over before eventually getting back on his own hooves. Once he got back on his hooves, he heard Springer talking about the cat before saying somepony planted the feline in the room to distract them. He then continued, before saying it was possible that Trixie was the one who did this. A look of confusion on his face, Electrobolt tried to wrap his mind around the thought. However, he couldn't think for long as the pain throbbed in his head again. Wincing a bit before putting a forehoof on his forehead, he silently listened to Springer as he explained his reasonings. As he absorbed the details, he could understand the reasonings. "So. This brings us full circle. Where is Trixie? If she is on this train, then we need to find her. If she is not, then we need to determine her movements regardless. Can anypony provide information of relevance?" Springer glanced at Electrobolt as he said this, certain that the interim assistant conductor would be certain to know something of the movements of another passenger on the train. As Springer spoke these last few words, Electrobolt noticed the pegasus looking over to him. Perhaps Springer thought he might know something of Trixie, so he asked him? Either way, he knew nothing of where Trixie might be. But if, like suggested, Trixie did leave this cat in Springer's room, that gave him a curious thought. Why would Trixie do this and then leave the train? Unless she IS still on the train. But where would she be hiding...? Clearing his throat, he started to speak. "Well... I don't know where Trixie is... I didn't see her when I was checking through the rooms. Not to mention her room had been wide open since morning. So I'm not sure she's on this train, unless she hid herself very well..." Looking over to the cat, he mused a bit, rubbing his forehead a little. "Now... If Trixie did indeed leave the cat in this room to distract us, why a stealthy cat? If you ask me... There might or might not be another explanation..." Looking over towards the direction of where Springer's picture of Ambrosia once stood, he hummed a bit. "Springer," he started once more. "Had you not started to move the picture, then the cat probably wouldn't have jumped out at you. I say probably because I'm only hypothesizing right now. Anyways, what if the cat's true goal wasn't to distract us...? I'm just making an assumption, but... What if the feline was sent in here to try and take something...? Let's think for a moment. Had you not found and messed up the cat's hiding spot, it would have most likely waited for us to leave before resuming it's task. The thing is, though, what could said task be..." Suddenly, his head started to throb again as he winced, holding his hoof to his forehead harder. "Ouch... Springer, sorry to change the subject, but... Do you happen to have anything for headaches...?" Magicon had expected his spell to work. It wasn’t a difficult skill to levitate ponies and he was sure he had enough in his reserves and renewed magical energy since yesterday to pull it off. Sure enough, he did, but with unforeseen consequences. As Magicon levitated to two ponies and the kitten, his magic took a unique turn as Electrobolt was flipped upside down, completely helpless, and the cat screamed horribly. Springer seemed unamused but that quickly morphed into a state of shock, begging Magicon to stop the spell. But before Magicon had time to stop the spell a strange field of light twinkled across the room and the levitation spell was forcibly canceled out. Magicon’s horn immediately made a small popping noise and he quickly put his hoof to it to make sure it was alright. Fortunately, there didn’t seem to be any damage and as Magicon returned his attention to the two ponies he saw the mess he had put them in. The cat hissed at him and Magicon glared in response, unafraid of the little animal and willing to use magic against it if necessary. He saw that Electrobolt had landed upside down, groaning considerably from the fall, while Springer had landed with a thud. Magicon grit his teeth in embarrassment. He didn’t intend the spell to produce this result; he had just wanted to separate the trio peacefully without damaging anypony. Clearly, that hadn’t turned out as planned and Magicon catalogued it as another failed attempt to do good for ponies. Springer was quick to point it out by telling Magicon that his train had stopped working because his magic interfered with the train’s magic. Magicon only slightly cared; it was a toy train. It could be restarted with another simple spell, but Magicon would wait to help Springer. He didn’t want to cause a further mess than he already had made. Looking at the kitten Springer questioned why the cat was here in the first place and though Magicon was slightly interested, it wasn’t the most pressing matter in his mind. It was a cat, nothing more. It couldn’t talk or know anything about what was going on. Magicon wanted to help Springer’s memory and this cat was distracting him from it. While Springer asserted the kitten was planted here as a distraction, Electrobolt countered stating the Kitten was attempting to steal something from the room. Magicon rolled his eyes at either idea. To him it wasn’t possible that a small kitten would have the intellect to find something of somepony’s nor have the motivation to distract somepony. Cats were simple creatures, small balls of fur and endless anger that Magicon detested. He paid no attention to the kitten as it snuggled beside an aching Electrobolt while Springer addressed Magicon. "This brings me to both of your theories. We don't know which is correct at this point in time. And... Ummm... I, personally, don't know either way. However, I do know one thing… Regardless of the actual dynamics that brought me to my current situation... Umm... This is a more simple problem than it seems. We are looking for a unicorn. It stands to reason that we would be looking for a unicorn with something to gain from my current situation. Well... Ummm... It's simple, isn't it? I think that Trixie is the one." Magicon felt a stab inside his heart with Springer’s accusation. His eyes stared at Springer with shock with morphed to anger. ‘How could he honestly think I would do that? Is he that foolish? I am NOT Trixie, by any means. I am a…a…’ his thoughts faded as he thought of that singular word that he struggled to think or say. Magicon’s emotions switched to relief and honor as Springer praised the unicorn. Magicon lowered his head and slightly blushed at the compliments. At one moment he was being put alongside Trixie, but it was merely a dark prelude to great praise for the unicorn. With a smile, Springer continued. "It is for these reasons that I am certain that Trixie is the one that we seek, not Magicon. In fact, Magicon, I look forward to your assistance in this matter. If it is, indeed, Trixie that we must contend with, then we will need a unicorn to fight a unicorn, magic to deal with magic." The unusual cadence left Springer's voice. "So. This brings us full circle. Where is Trixie? If she is on this train, then we need to find her. If she is not, then we need to determine her movements regardless. Can anypony provide information of relevance?" Springer looked to Electrobolt who stated he hadn’t seen Trixie during his round. Magicon put his hoof to his chin in contemplation but, frankly, he didn’t know where Trixie might be. She hadn’t used a large amount of magic; if she did Magicon would’ve felt it. He kept thinking about what had occurred last night, but he couldn’t think of anything. He had beaten Trixie, barely survived, and hoped to never lay eyes on that unicorn again. But Magicon was a pony of ideas and solutions. He was determined to help Springer and figure out just what was going on the train. When Flow heard what Key said, it prompted her to look into Alex's eyes, doubting it at first before realizing that she was right "Eh? That can be righ- Oh wow, what a coincidence! That's really surprising...." Afterwards she quickly looked away from him, for fear of embarrasment, blushing for a bit, "Come to think of it he looks kind of-w..wait!.Why am I thinking about that? This isn't the time for that!! Sigh, well I hope he didn't see my face," When she heard Key spoke of an idea, it came to Flow as a chance to forget about her previous thoughts, so she replied, but stuttered in her words "Uh...A-a-an Idea? W-w-what is it?" When Key apologized again, Flow responded "Apology accepted, And I apologize for the things I've done, equal now? Ehehe," She smiled with her eyes closed, "Gee, I guess this filly isn't so mean, she's actually very nice, I like her,"
"Well... I don't know where Trixie is... I didn't see her when I was checking through the rooms. Not to mention her room had been wide open since morning. So I'm not sure she's on this train, unless she hid herself very well..." Looking over to the cat, he mused a bit, rubbing his forehead a little. "Now... If Trixie did indeed leave the cat in this room to distract us, why a stealthy cat? If you ask me... There might or might not be another explanation..."
He listened carefully as Electrobolt explained. If Trixie had not been seen in any of the normal rooms of the train, then that left a rather limited array of possibilities. On one hoof, this meant that she may not be on the train. On the other hoof, this might also mean that she was on the train but in an unusual place or in an unusual way. Both possibilities were basically raised by Electrobolt, but as Springer thought about them, he realized that there was perhaps another way of looking at things. Before Springer could give voice to his thoughts, Electrobolt continued, and the young colt made the same observations that Springer had made just a few moments before. It made sense, to Springer, that there was some purpose or reason for the cat being there. He could only wonder, though, how it made sense to him. Thinking about it, it would certainly have been more efficient for pony to simply enter the room, take what was needed, and then leave. As he was thinking, Springer completely missed Magicon's look of disapproval for the idea. Springer was, of course, a terrible observer of ponies. Suddenly, Springer raised an eyebrow and smiled, absentmindedly. When he spoke, he spoke somewhat distractedly. "Maybe, there is still another possibility? Ummm... I apologize, Electrobolt, I don't have anything here for headaches, but some really strong coffee might be able to do the trick later on... Actually, ummm... Well. Yes, we could try the coffee in the kitchen when we return in that direction." As Magicon spoke, the information that he added to the puzzle was completely invaluable. In fact, in his observations on Trixie's magical powers, Magicon provided Springer with one of the more valuable pieces of information that had been gained so far. Springer's mind wandered to an earlier observation, and it lingered there for a few moments as Magicon continued to talk. His attention snapped back as the unicorn finished speaking. "Interesting... Umm... Magicon, there's no need to apologize for what you could not have known, that's inefficient." Springer looked down for a second. "I do regret that this happened, because it won't be a simple matter of a movement spell to make my train move again. You see... My train was a bit different, but... Ummm... That's something that we can talk about at another time." Springer cleared his throat before continuing, glancing from Magicon to Electrobolt and back as he spoke. "While you were talking, both of you, I think that I was able to reach a few conclusions, but I'm not certain… I think that the efficient thing would be to communicate them in reverse order. First, I would like to return to the 'puppet' theory that Magicon suggested earlier. If I was a puppet, then the strings have been cut. If this wasn't true, then Magicon would certainly be able to detect the influence of a puppet master. Such an influence is likely to be fairly powerful spell, so it should definitely be detectable. So... I'm no longer a puppet..."
He had trailed off when he realized that he had stumbled into another, potentially important, observation. However, he didn't mention it immediately, instead he filed it away. It would have been inefficient to become distracted. "Second, I would like to return to this cat." Springer gestured at the kitten that was sitting quietly by Electrobolt watching the entire proceedings with apparent disinterest. "I don't think that this cat was necessarily here for revenge, and I don't necessarily think that this cat was here to find something on its own. Of course, I can't know for certain… But, perhaps the cat was here for different reason… To draw our attention to something? Something hidden… Perhaps the cat is a friend, not an enemy..."
Moving closer to the bookshelf that the cat had been on, Springer tried a hoof at moving it so that he could look behind it. "I already made a thorough examination of everything that could be seen without moving anything around, so... all that remains is to simply look behind these things... A small cat's paws could take something from behind on of these without diffi... difficulty, but..." With a tired huff, he gave up on trying to move the shelf. It hadn't even budged. "We would need to carefully move everything in here in order to find whatever it was, if something was actually here… My thoughts are… This cat is now just watching us without a care. These are not the actions of a guilty or scared animal." "Magicon, you mentioned searching the train. Well, I think that the most efficient way to begin the search would be with this room. I... Well... In this state, I'm not quite able to conduct the search myself. I shall trust in others to help me, instead. Please, be extremely careful to preserve the order of everything. I would prefer that nothing else is damaged or misplaced, unless absolutely necessary in pursuit of our goal." OOC: No hat tricks. Everything that Springer concluded here is legit, and Magicon's observation concerning Trixie's magic is spot on. Could somepony give Springer a hoof with moving some of these shelves around? Behind the shelf that has the large train rules and guidelines manual on it, there will be a key. The box that goes to the key is somewhere in the room, but it is not on the shelves. It is either in the train or in the container that is under Springer's bed (hidden among the uniforms). Feel free to write the sequence however you want to, but... The order of operations matters. Inside this box is a small piece of paper, it has some writing on it... Writing that is in Springer's own hoofwriting. Every pony with Springer right now is highly observant, so... Feel free to make the observation. Now, whether or not you make it out loud and who does so will have side effects. Key could immediately tell, both by Flow's exclamation and her expression, that the idea had not gone over very well at all. She could already guess why. Of course, both Alex and Flow were older than her. Even if the gap in age was only a few years, it still altered their perceptions. Key's expression faded as Flow's expression faded. Soon, Key's pleading expression was masked, carefully, by her well-practiced look of ambivalence. She hated preconceived notions of how things should be. Reflecting, Key felt irritation, both at herself and Flow. She was irritated at herself for allowing an emotional outburst. Yet again, her social skills were fracturing and they had resulted in an awkward social situation. She was also irritated, just vaguely, at Flow. Much like Bolt on the day before, her encounter with the pegasus was now leading from one awkward social situation straight into another. Unlike with Bolt, she doubted that she would discover herself to be related to Flow. With their similar eye colors and the fact that they were both pegasi, it seemed much more likely that Alex and Flow would be related. "Um....That's very nice of you to ask, but I'm an adult, and once your one you have to be more independent, I can live by myself you know....Er...but thanks for the offer, that's actually very sweet of you,"
Before she had even considered Flow's words, Key found that she was shaking her head. Feeling suddenly tired, Key couldn't think. She didn't feel like analyzing anymore or even trying to make sense of herself or anypony else. She just gave up, but even as she did so, she felt that she needed to say something. Earlier, when she had spoke, she had done so from her heart. Now, she spoke from her heart again, but it wasn't from the same place. This time, the source was something deeper in her own character, something that she normally hid from herself and others. Key spoke calmly and with clarity. She sounded tired, vaguely exasperated, and as though she was a pony with an age that was several multiples of her actual age. "You say that you're an adult as if it means something. It doesn't, not really. Because, if it did, then not being an adult would mean something too. It doesn't. None of it really does. Your age is only a number. It is meaningless. There's no promises that come with one age or another. You don't have to be an adult to be independent. I've been independent for seven years - living by myself. So what?" "Your age. It won't protect you when somepony wants to take everything you own. It won't guide you when you're trapped. It won't defend you from the shadows. It won't be your friend when you're alone. It won't be your shelter when it rains. What is your age? When you're in trouble, you can't say, 'I'm not an adult, don't hurt me.' You'll get hurt, nopony cares about how old you are. Like I said, age's only a number. Numbers can't help you. They aren't real. They're just imaginary things that we use to keep track of stuff." "And... Look, it wasn't sweet of me. Really. I like sweets, I know what they taste like. What I said... 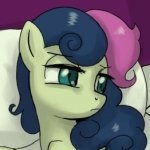 It was bitterness, the bitterness that so many ponies aren't even able to have what I had and what I have... But my bitterness was wrong. It was wrong because not too many ponies think like I do... You... You don't think like me. To me, being an adult has nothing to do with independence. It's just a word, a legal term with a certain definition, nothing more. And... To me, parents aren't just something that you don't need when you turn a certain age." Key locked eyes with Flow. "Flow, a parent is forever. You don't suddenly not need one because you are an 'adult' or because you are 'independent'. At least, that's what I think. To me... When I find my parents... I want them to be by my side... Forever. But... You know..." Key stopped. "I guess that I couldn't be your parent anyway. I thought that I was fortunate because my parents are still alive and because my brother's parents... They might like me. But... Flow, you're the fortunate one. You actually think that being independent and taking care of yourself is something special for when you're an adult." "Seven or, maybe, eight years ago, I ran away from home. There was nothing left there for me. Then, I lost myself. I can hardly remember much of anything from that time. I think that I became one of those jungle animals from the stories that my parents told me. I was wild. I was starving, scared. I didn't get any sleep. I didn't even have a clue what I was doing. I just survived. Independently. I learned things that I needed to learn to survive. I put up with what I needed to put up with to make it to the next day. And, I grew." "See, Flow. You can be independent without being an adult." Key grinned. "Really, though... Are you really independent? You live by yourself, sure, but... You still buy food from other ponies, right? You have a job, right? That means that you aren't really independent. Nopony is. We all exist in a way that means that we need each other to survive. Every single pony out there contributes something to the whole. Independence isn't true, it isn't real, and it isn't your friend. Why not just say that you're dependent and accept reality? I think we all should." Key continued, talking just a bit excitably, mirroring her earlier request to adopt Flow and Alex. "Flow, you made the mistake of thinking age was important. I forgive you, but... I think that you still have a lot to learn. Look, I doubt that you're any more than a couple of years older than me. You've got more numbers than me but not by much at all. Ponies can live for hundreds of years. When I'm 102, are you going to think that being 104 matters? I bet not. So. Whaddya think about this, hmm?" "Berry, old friend, you're welcome to use my own cabin. It's room 18 in the caboose, so it's a bit of a trot, but... You know, you should make it just fine and it'll be a great place to rest undisturbed for a little bit. No one'll bother you. For me, I'm not getting a wink of sleep until this train gets to its destination. You'll probably see the assistant conductor on your way to your room, he's a spry, green fellow. Let 'em know if you need anything." Berry wasn't shy about letting out a gruff sigh of relief before speaking. "Thank you Vim. This body of mine isn't what it used to be. Last I went to the doctors a month ago he said I couldn't stay up for over 48 hours in a row anymore. Tch! Imagine the cheek of the lad, telling me what I can and can't do. I do like to humor them. You know, to make them think that all that education actually meant something?" He yawned shortly after his short speech. His eye lids drooped until his eyes were half open. "I think I'll take you up on that offer. Though for that... green fellow's sake, I hope I don't run into him. I'm not feeling very social right now. That is the fun part about being old though. You can get away with saying almost anything, and they'll only call you crazy. I could have used that advantage years ago. Well, I'll start walking. Maybe... maybe I'll even make it there." Without another word, Berry turns around, and walks to the door, opening it, and departing. Gradually making his way to the back. He enters the dining car, his vision narrowed unnaturally to the door on the other side of the dining car. He ignores everyone as he makes his way towards the door on the other side. "Almost... there." His steps grew slightly slower, until by the time he reached the door on the otherside of the dining car, he stopped. "Oh no... another door. So, tired... how, am I so... tired?" Berry Nut blinked tiredly at the door in front of him. His mouth opened, but nothing came out. He only shook his head slowly as if in disbelief at the door. "I hate you." He mutters darkly at the door as if it could hear him.